Conference on Neural Information Processing Systems---NVIDIA today introduced NVIDIA® TITAN RTX™, the world's most powerful desktop GPU, providing massive performance for AI research, data science and creative applications. 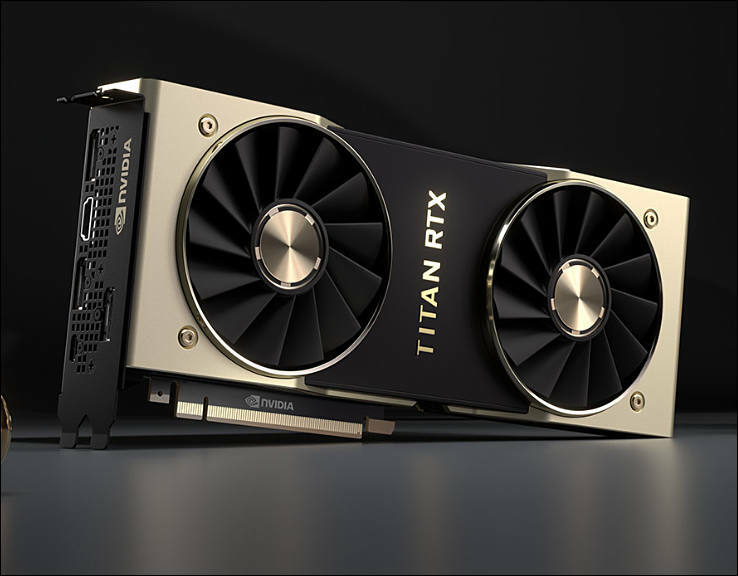 Driven by the new NVIDIA Turing™ architecture, TITAN RTX --- dubbed T-Rex --- delivers 130 teraflops of deep learning performance and 11 GigaRays of ray-tracing performance. "Turing is NVIDIA's biggest advance in a decade -- fusing shaders, ray tracing, and deep learning to reinvent the GPU," said Jensen Huang, founder and CEO of NVIDIA. "The introduction of T-Rex puts Turing within reach of millions of the most demanding PC users --- developers, scientists and content creators." NVIDIA's greatest leap since the invention of the CUDA® GPU in 2006 and the result of more than 10,000 engineering-years of effort, Turing features new RT Cores to accelerate ray tracing, plus new multi-precision Tensor Cores for AI training and inferencing. These two engines --- along with more powerful compute and enhanced rasterization --- enable capabilities that will transform the work of millions of developers, designers and artists across multiple industries. 24GB of high-speed GDDR6 memory with 672GB/s of bandwidth --- 2x the memory of previous-generation TITAN GPUs --- to fit larger models and datasets. 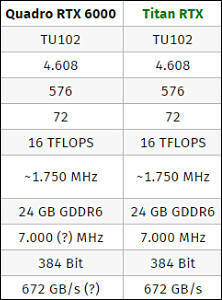 It is more about fact that Nvidia is forced to use developments of pro cards in consumer segment. This is also how famous "ray tracing" cores appeared.